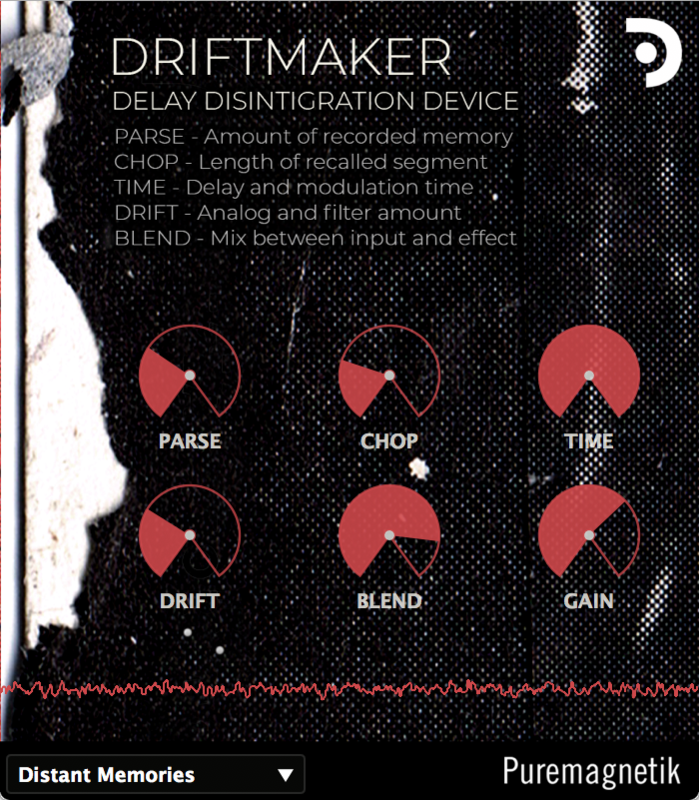 Driftmaker is a delay disintegration device that parses incoming audio, recalls certain parts and adds analog deterioration to the signal. It was designed to encapsulate the character of BlankFor.ms's debut on Puremagnetik - Works for Tape and Piano. All presets were developed by BlankFor.ms.